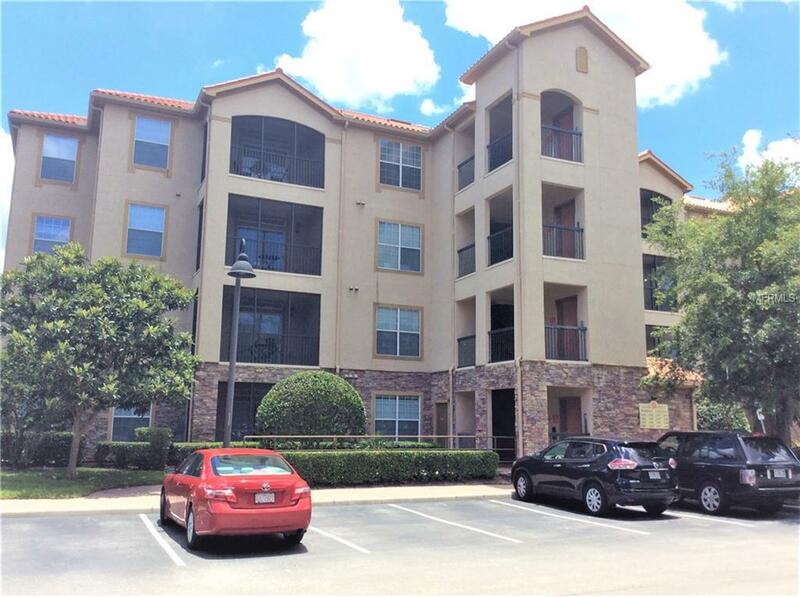 Beautiful second floor level furnished 2 bedroom, 2 bath luxury condo located in Tuscana Resort, Orlando's Mediterranean InspiredGarden Condominiums. Zoned for short or long term rental, this gated Resort has many amenities for you and your guests to enjoysuch as heated Mediterranean theme community pool, covered cabanas, heated spa, fitness center, on site restaurant, pool sidepub and a 30-seat cinema. Located in the Championsgate area close to Disney and other world class attractions such as UniversalStudios, SeaWorld and Legoland. Currently in the on site management rental program (Aston Hotels). This property is on secondlevel and completely turn key,. Flooring has been upgraded, living room furniture upgraded, great room and all two bedrooms. Thisproperty is perfect as a second home or investment to move forward as a successful vacation home. Cash Only!